The headlight leveling ECU assembly receives the vehicle speed signal from the combination meter assembly. 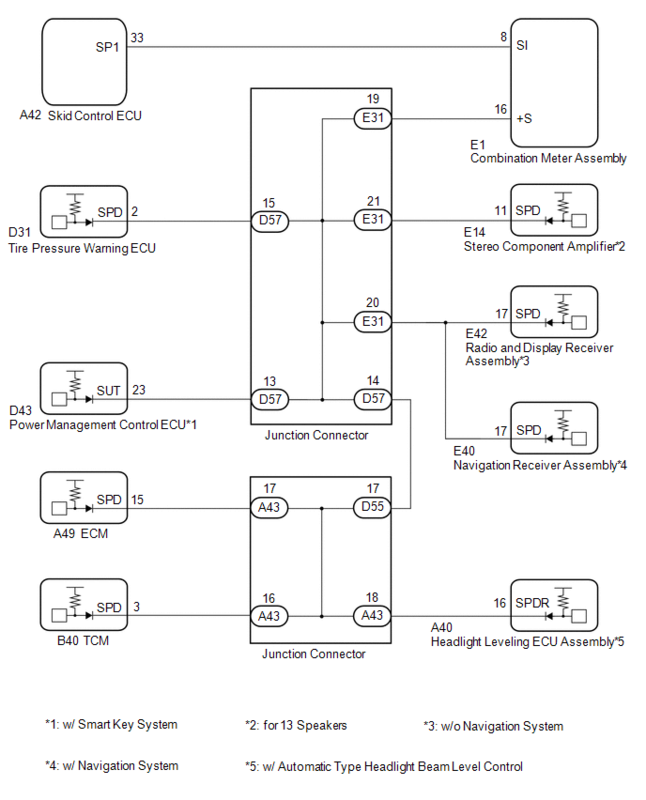 If a short occurs in any of the ECUs or in the wire harness connected to an ECU, all systems in the diagram below will not operate normally. 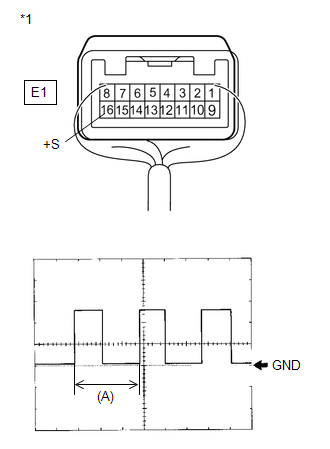 (a) The circuits that send vehicle speed signals to this system are inspected in the meter section (See page ). 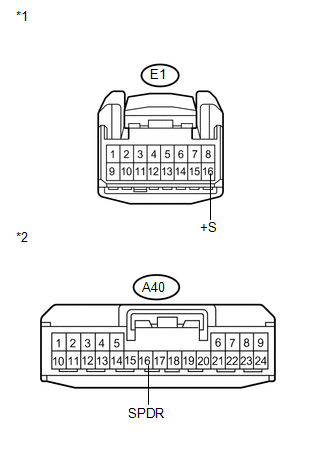 (b) During inspection for the meter system, if there is an instruction that indicates to go back to inspections for the lighting system, proceed to the next step. (b) Disconnect the A40 headlight leveling ECU assembly connector. (4) Check the signal waveform according to the condition(s) in the table below.